What Can I Feel From Reiki? 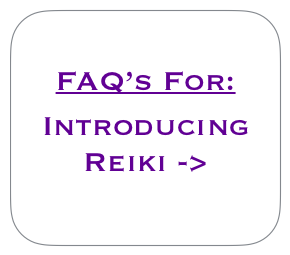 What will I feel when practising Reiki? All energetic frequencies are slightly different in the way they feel for the practitioner and different people will feel different things as they progress on this pathway. In addition, there will be some sessions, where you may have totally different spiritual experiences from the last, making each healing session unique due to what you need at each given time. During a typical healing session or meditation, it is normal for the practitioner to feel different energies moving from within the body and most of all, our meditations become much more peaceful and loving. It is precisely these feelings of love, inner stillness, calmness and blissfulness that we hear many Reiki practitioners speak of. It is also common to feel many other types of physical sensations during meditative healing as the energies melt and merge into our consciousness. Another sensation that people often speak of is the feeling of heat. One of the best things about any Reiki practice is its ability to reduce our internal mental chatter. By bringing us closer to inner peace and stillness, we are able to step over what can be a rather large obstacle for many beginners starting out on the meditative path. In this way, we can see that these kinds of energy based healing practices can help us to more easily and effectively go deeper into meditation. The divinely guided energetic frequencies within these systems help us to open up and receive healing light from the divine source and help to bring us closer to health, happiness and love.